In the nose you can feel unbelievably intense yellow and green fruits right at the beginning. The apple note evolves clearly to candied apple. Overall, very fine and balanced. A mini herbal note mixes a little later with intense sweetness of biscuits and dough with some vanilla and cereal notes. Alcohol is really very delicate. 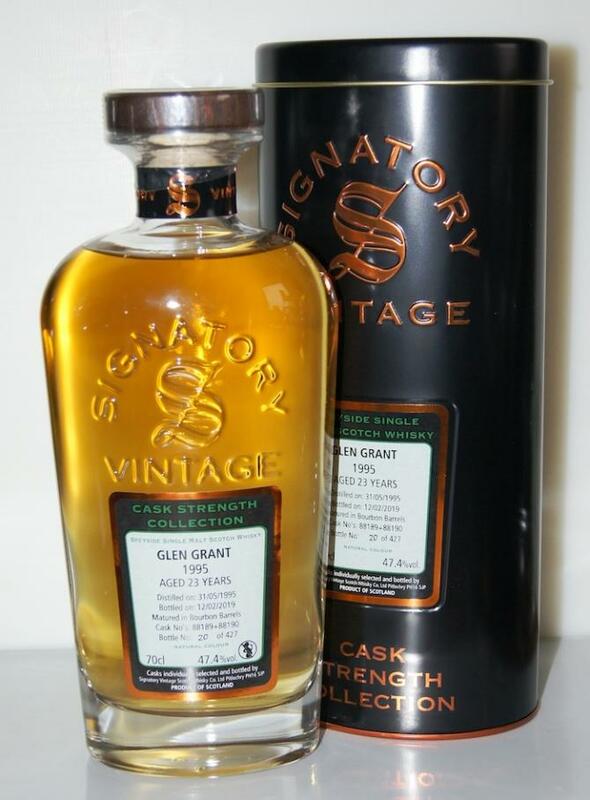 In terms of taste, I personally notice a considerable depth, so "dark" I would not have expected the Glen Grant. Beautiful heather honey with some herbs. Clearly there is a sweetness in the foreground, the alcohol remains super restrained. The notes of dough are much clearer in the taste and the fruit component hides a bit. This is refreshed only by smelling again. Due to the pleasant age of 23 years, a finely spicy note of wood is towards the end. This is noticeable with a little dryness on the palate, but also very fine and not intrusive. Due to its overall subtlety, I would describe the finish as appropriate, also here is a sweet touch back. It will develop recognizable again a little yellow fruits. But I would call the departure as medium.